A subscription to Octane magazine is the must have read for enthusiasts and owners of classic super cars. Octane magazine captures the exclusivity and excitement of the classic car world. Each issue brings you unrivalled road and track tests along with stunning photography of the most revered classics. From Ferrari to Aston, Porsche to Bugatti, Octane opens up the world of the fast, the prestigious and the unique classic cars from yester year. With columnists, Sir Stirling Moss, Jay Leno and Nick Mason, event news and cars for sale its the only classic car magazine you'll ever need. 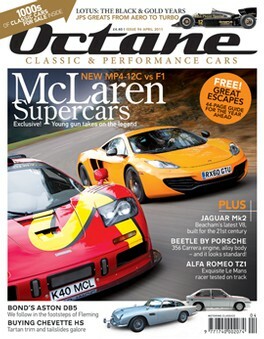 Claim 3 issues for £1 and find out why Octane magazine is the essential read for any car enthusiast.